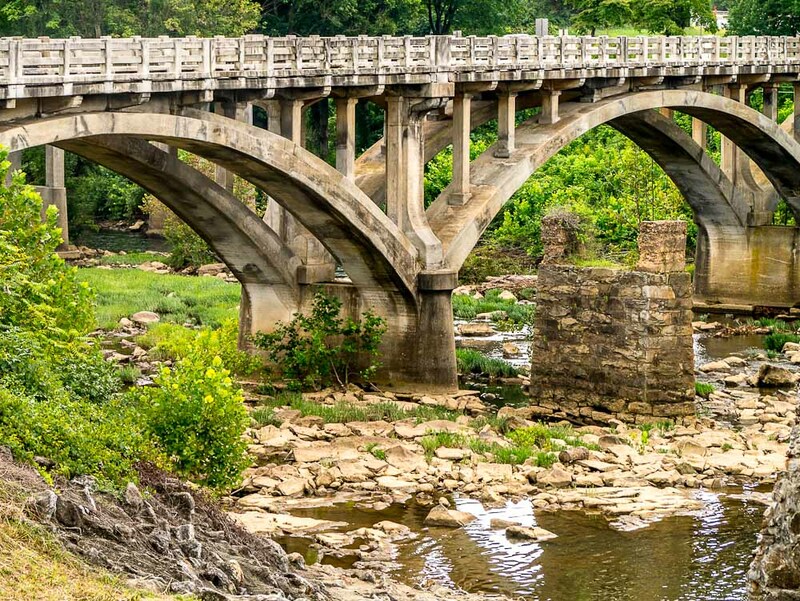 This concrete arch highway bridge crosses the Smith River in SW Virginia. Standing next to it is a much older bridge pier column that must have been part of an earlier bridge of some sort. I liked the way they contrasted with each other.